Today is all about the In a Word series which has a consistent length to all it's big words. We are introducing a new stamp set to the series: In a Word: Thanks stamp set which has the stamp form of In a Word: Thanks Cutaway, an outline of the same word, a new elegant "thanks" and then a handwritten "thanks" along with a few little images and smaller yet still bold supporting words. We hope you find this set an invaluable part of your crafting arsenal! Want coordinating cutaways to the stamp set? We've got that too with the In a Word: Thanks Coordinating Cutaways. 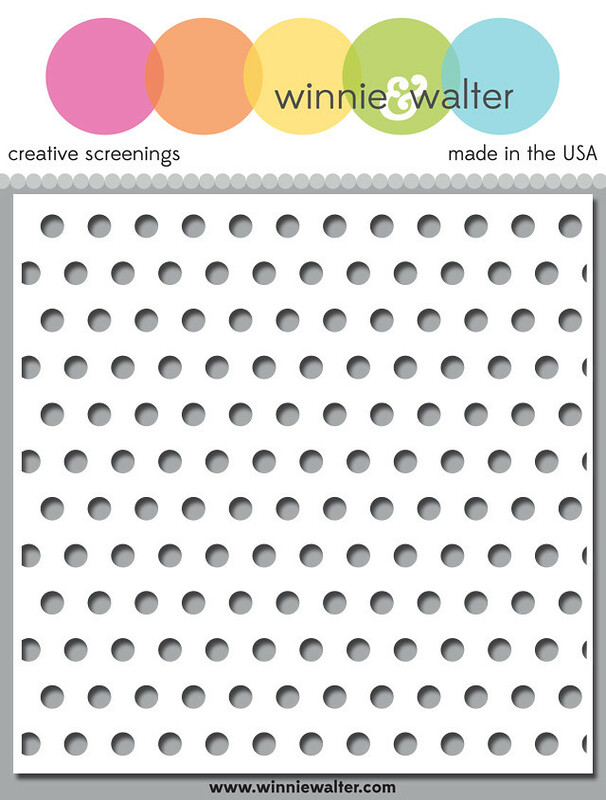 We also have a new creative screenings aka stencil we are adding to our collection this release. Happy November everyone! Finally I got my act together to get another squeeze in another release this year. I can't thank you enough for your patience. I have to admit to being on a yellow kick lately and why not use yellow for holiday cards and thank you cards? Both of these cards use the same ink Distress Oxide in fossilized amber and the new Scenery: Pennsylvania Polka Creative Screenings. I really love this basic polka dot pattern. For the first card I used the stencil, ink and ink blending tool on a A2 white cardstock panel (I used the inked stencil for my second card, but I will explain that later). On another panel I stamped the "thanks" from In a Word: Thanks (the stamp set) Distress Oxide in peacock feather. I cut the panel down down and added strips of yellow cardstock (to get it to perfectly match I found a pale yellow I then used the same yellow ink and ink blending tool to customize). I added the thanks panel to the patterned panel with foam dimensional adhesive all attached to a white A2 card base. Like I mentioned above for my second card, I used the already inked stencil and spritzed it with water before placing the stencil over an A2 panel and running my fingers over the back. By "stamping" with the stencil each impression is a surprise. I cut out the In a Word: Wonder Cutaway using a teal cardstock I then cut out the tag from Tagged: Holiday Cheer Cutaways from pale pink cardstock and cut out the tag hole with the star from the same set. I stamped the accompanying sentiments in abandoned coral from Tagged: Holiday Cheer on the tag. I added the yellow embossing floss to the tag. On the stenciled background I stamped the outline and solid stars from Tagged: Holiday Cheer in abandoned coral and peacock feather. I flung some gold spray around too because I can't seem to create without it. I added the tag to the panel with dimensional foam adhesive. Last I adhered it all to a white card base. CLICK HERE to see more from Lea (will be live later in the day). Comment here on this post for a chance to win In a Word: Thanks stamp set + In a Word: Holidays Cutaway + In a Word: Jolly Cutaway + In a Word: Thanks Coordinating Cutaways + In a Word: Wonder Cutaway + Scenery: Pennsylvania Polka Creative Screenings of your own by 11:59 p.m. (central standard time) November 30, 2018. One comment will be chosen at random. 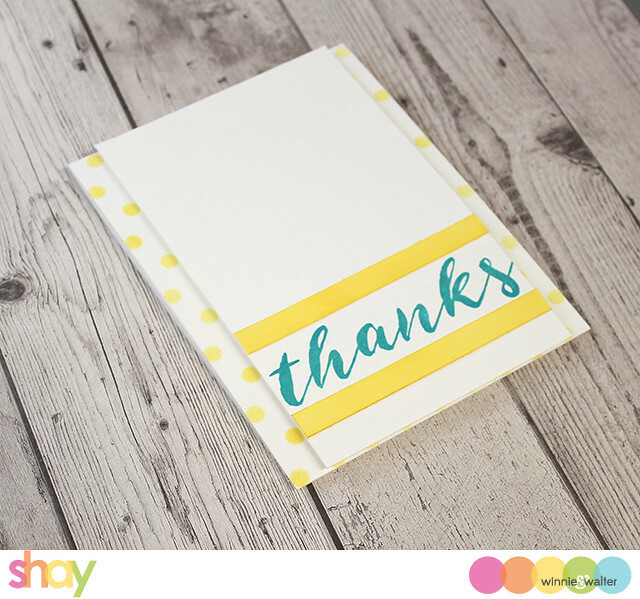 I have In a Word: Thanks from last year's Black Friday sale and I'm so glad to see the coordinating dies! I love the new word dies too. Pretty products elevated to awe-mazing by you and your DT! Your word dies are *the* best! 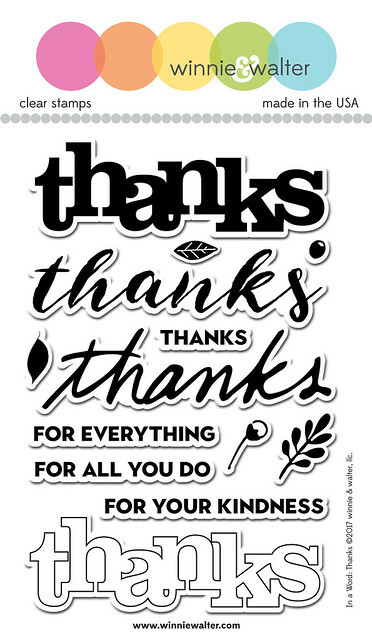 I LOVE the different "Thanks" fonts! But that Jolly die cut is awesome! So cute to put a bell in the middle of the "O"
I love the style and fonts of your Word cutaways! Amazing showcasing! Love all the new cutaways so versatile. The stamp set is THE perfect bold. All the cards are beautiful. Beautiful collection of cards today! Excited for the new dies! Awesome cards to show off the new word dies and stencil! I especially love all of the new Cutaways! Can't wait to try some of these out! So pretty, and I love the In the Word sets. They are so versatile, and your DT really showed this one to perfection. I don't have anything to create a polka dot background so the stencil is fabulous. And the Jolly die-cut caught my eyes straight away, its gorgeous!! I love the Thanks word stamp and die set. You can never have enough thank you cards. 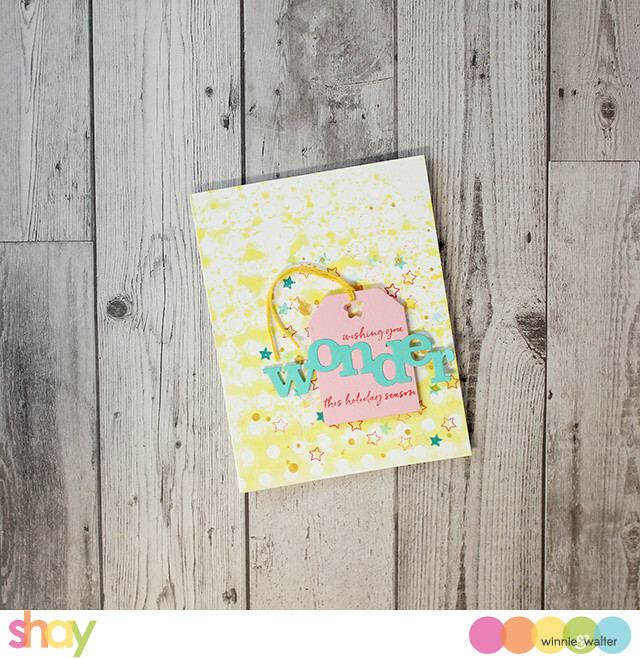 these cards are just gorgeous - really LOVE the polka dot screen - so many possibilities with this stencil!!! I love the variety of word dies and stamps. There's so many design options with these new products. So thrilled to see more products in the "in a word" line!!!!! I own a lot of products from this line and love every one of them!!! I'm so happy to see more still coming!!!!! Thanks so much!!!! 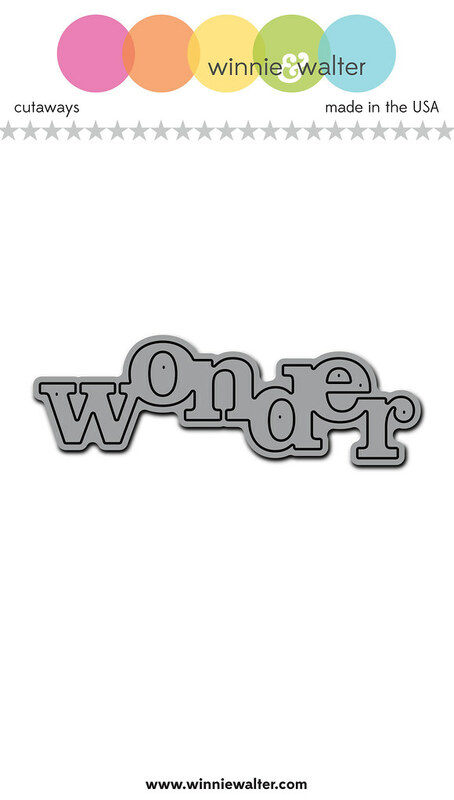 I love seeing new and different words like jolly and wonder. They're perfect for my December mini album! Great new dies! The Thanks stamp set is just lovely! SO many fabulous projects! 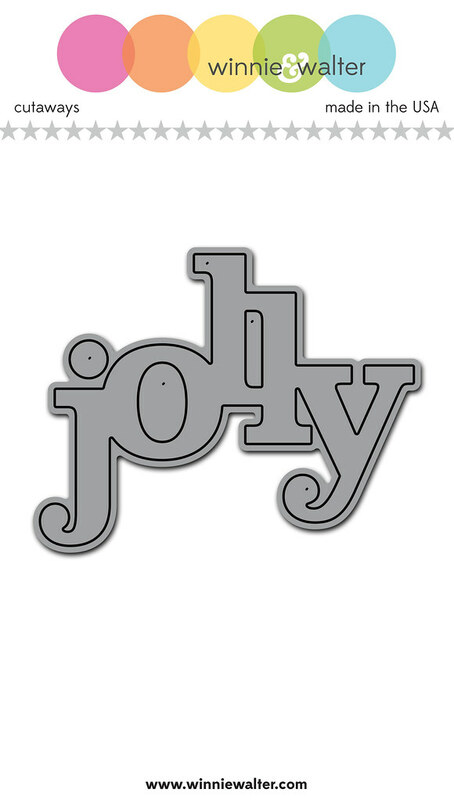 Love the In a Word: Jolly! 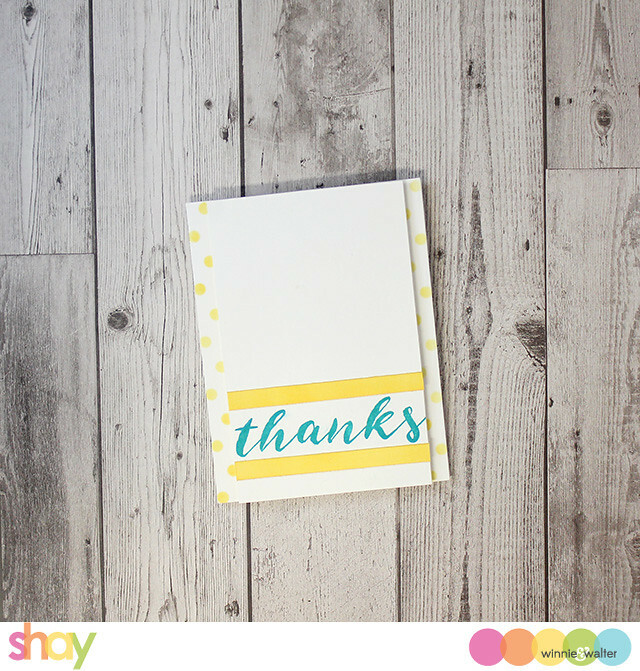 i love the whimsy of the jolly and wonder dies and the thanks set is perfect! Super fun, creative projects with the wonderful new products! So many different ways to use the stencil! Fab products and inspiration shared by the designers. The pink, teal and yellow is a winning palette. Beautiful release and a lot of striking inspirations! I love those in a word cutaways! So cute! Love the word dies and the cards using the Polka stencil are fabulous. Thanks for the wonderful inspiration. Love the new cutaways and the stencil from this release !Beautiful cards! Beautiful dies!!! They're so versatile! Love all these gorgeous cards!!! Fabulous dies & inspiration. Love them all. I love this set. There are so many things you can do with this. So many gorgeous creations. Fabulous new products!! I adore the new THANKS stamps and dies. Such versatile sets. LOVE!! I didn't think I needed the new Christmas series of word dies....until I saw what you and the team did with them!!! Oh, my....my wishlist keeps growing and growing!!! Wonderful samples by everyone. Congrats on this new release!!! I am a fan of word stamps and dies - especially if they fill the front of a card. These sets are fantastic! Wonderful new products shared with fabulous examples! Wonderful words and I like the polka dot backgrounds. I’m loving all of the Word Cutaways! There are so many awesome projects by the Talent! 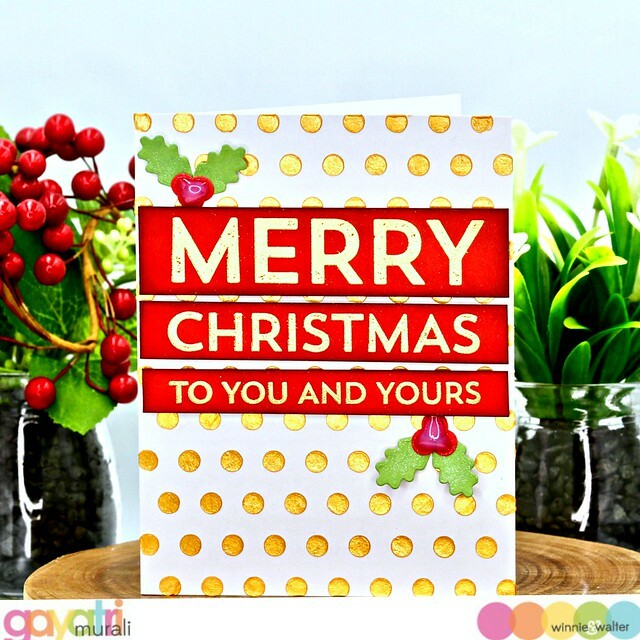 The holiday word Cutaways would make my Christmas crafting fun and easy and I love the Thanks stamps and die sets! Love the Jolly die and the fun cards made using it. I really love your In a Word Series, and the Thank You stamp set from last year's Black Friday is one of my favorite sets! Excited to see more dies to use with it. Great new release, thanks for the chance to win! Love all the stamps and dies. Great new products. I love everything from this day - especially the jolly die cut and the Pennsylvania dot stencil. W&W is the master of word stamps and dies. My cards always look great with their sentiments! LOVE all the beautiful work by the DT's, so inspiring! The bold fonts can be so much fun on any project. Oh what fantastic word stamps, dies and stencil. Perfect staple for any crafter. Love the designs. Great word dies! Some of my favorites. What fun stamp sets / die sets. All are fabulous. The inspirations are wonderful as well. It is always fun to see the different ideas from a single set ..
Gorgeous cards made with your lovely new stamps and dies! Thanks for sharing. so wonderful projects from all! Very pretty projects. Love your use of all of the yellow. So glad you're doing a release...fabulous first day. 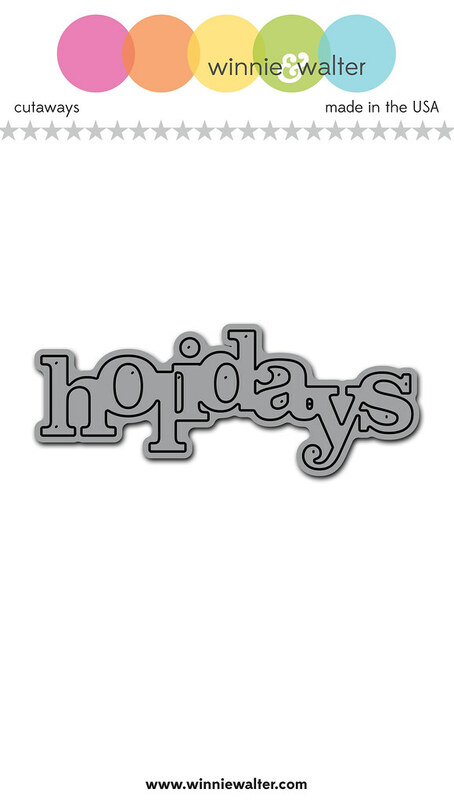 I could really use those big word dies and the Holiday sentiments are so fun! I just love your big sentiments! Such a fun and fabulous new release. Love the new word dies!